Year 6 have been invited to a Film Premiere on Friday afternoon 12th July. Some of the pupils are participating in a Film through the centuries project and will be receiving certificates and a DVD of the film. There will be a special screening also using the new digital equipment in the Hall. They will leave after lunch and return by 3 p.m. and be dismissed from school as usual. 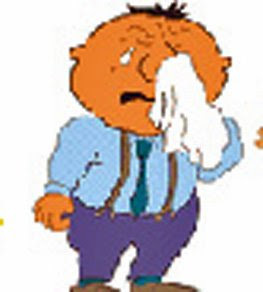 I would like to offer my apologies for changing arrangements for tomorrow (Thursday) afternoon at such short notice. My original intention was to take our Foundation Phase pupils to the Phoenix in order that they could see the final dress rehearsal of Annie. At the time that we arranged this we were able to guarantee the appropriate staff / pupil ratios to safely transport them by bus to the Theatre. Since communicating this to you a while ago, I now find myself in a position that I cannot guarantee the health and safety of our pupils as the bus company are unable to provide us with the transport and, this hot weather make it inappropriate for the pupils to walk to the Theatre. I appreciate that many of you will have made alternative arrangements and will now have to undo them. Again I can only offer my apologies. We at Gelli Primary want to give pupils the opportunities to participate in school activities and taking the younger pupils to see the show during the afternoon and not in the evening was considered to be a better option. There has also been some confusion with informing you about house colours and arrangements for the sports. We will undertake a thorough review of our arrangements and communication to you this year and take on board some of the helpful suggestions that we have received from parents. Unfortunately, when we try to achieve so much in a short space of time there are inevitably errors in judgment made and some breakdown in communication occur. Hopefully we will not repeat these in future. You will have received a series of texts informing you of this change of arrangements. 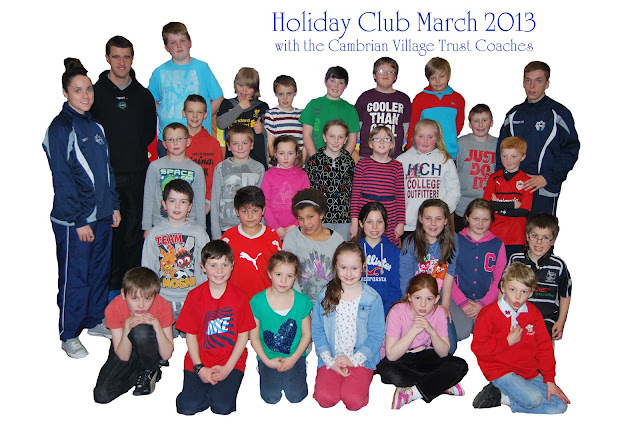 The Cambrian Trust is able to provide us with a Summer Holiday Club at Gelli Primary School FOR ONE DAY on THREE CONSECUTIVE WEEKS in the Summer holidays. They will take place on Tuesday 23rd July, Wednesday 31st July and Tuesday 6th August 2013. The successful pilot during the Easter holidays received very encouraging feedback and we have now increased the provision to include pupils from Year 1 and 2. 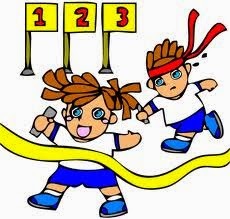 There are only 30 spaces available for Key Stage 2 pupils and 20 available for KS1. The scheme will cost £6.00 and we hope that pupils will sign up for the THREE SESSIONS. If you wish for your child to participate in this project please fill in the form at the foot of this letter and return to school as soon as possible. Places will be allocated on a first come first served basis for the three days. Please fill in the form below and return to school as soon as possible. Please DO NOT send in money until your child’s place has been confirmed. A letter containing all the details was sent home today although some pupils practicing at the Phoenix may not have received their. A copy of the letter and form is available from our Moodle site. Every two years the Junior Department perform a production in the Phoenix Theatre, Ton Pentre. The purpose of this is to give each pupil the opportunity to perform on stage in front of an audience and to participate in a whole school event. We expect that all pupils, regardless of musical or acting ability, will be able to participate by joining in the chorus. We hold auditions for the main cast characters and pupils are invited to put themselves forward for each part. This replicates the scenario whereby should they wish to join a local amateur dramatic society or participate in music / drama activities in the Comprehensive School they will be prepared. There is no “opt out” clause in this. We are an equal opportunities school and we include everyone in all our activities where it is appropriate. Please will you ensure that you read the following information so that you are aware what we expect from you and your child next week. Please can ALL children be at the Phoenix Theatre, Ton Pentre by 9.00 a.m. We have our first FULL rehearsal that morning. Pupils will return to school for at lunchtime for dinner. The CAST MEMBERS supervised by staff will walk to the Phoenix Theatre after lunch at 1.00 p.m. Please can you arrange for your child to be picked up from the Theatre or sign the permission slip allowing them to walk home. The first performance takes place at 6.00 p.m. that evening. Cast members are requested to be in the Theatre at 5.00 p.m. Pupils who are in the CHORUS will be expected to arrive at 5.40 p.m. and enter through the side door. Pupils will be picked up after the performance which should finish around 8.00 p.m. or please sign the permission slip allowing them to walk home. The CAST MEMBERS and pupils who are in the CHORUS supervised by staff will walk to the Phoenix Theatre after lunch at 1.00 p.m. They will perform the show to the Infant pupils. The second performance takes place at 6.00 p.m. that evening. CAST MEMBERS are requested to be in the Theatre at 5.00 p.m. Pupils who are in the CHORUS will be expected to arrive at 5.40 p.m. and enter through the side door. Pupils will be picked up after the performance which should finish around 8.00 p.m. or please sign the permission slip allowing them to walk home. You will have received a letter earlier in the term requesting pupils who are in the CHOIR to dress as orphans i.e. dark, drab, messy clothes. As usual we do not require you to purchase a costume specifically for the occasion but use clothes that you already possess. The main characters costumes have already been sorted and will be in the Theatre for the pupils to dress. Tickets are on sale from the school box office in Mrs Thomas's Office at the beginning and at the end of the day. There are no restrictions on the number of tickets that you can purchase. They are priced at £6.00 for Adults and £3.00 for OAP's, and School Pupils. Please will you encourage friends, neighbours and family to come to the production the pupils and staff have worked very hard over the past term and it would be great to see every seat in the auditorium full and for us to give the production such a wonderful reception as our previous successful productions have received. We will text reminders during next week. The NED Show Store at Gelli Primary will close tomorrow. Sales of the merchandise have been very positive and the pupils are co-operating by playing safely with the Yo's in the designated area in the yard. There have been a few issues where some of the merchandise has been defective. Some times it is the way that the Yo's have been re-assembled after strings need to be changed and some of the merchanise has broken. 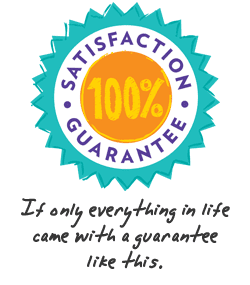 After we send the remaining stock back to the company on FRIDAY afternoon you are able to take advantage of the Ned 100% Satisfaction Guarentee. Whether you purchased your items from your school sale or from Shop NED, our online store, please contact Customer Care directly. 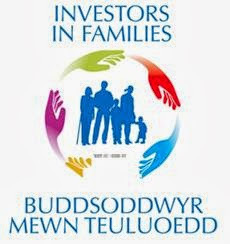 Today we were assessed for the Investors in families Award. The award is judged against seven core aims and we were successful in providing the assessor with sufficient evidence for the acreditation. This initiative has been led by Miss Davis with the help from several parents who were interviewed, the staff who drew together the evidence and the pupils who helped deliver our programmes. This is yet another achievement that we can be very proud of and goes to show the commitment we have in Gelli Primary School to ensuring that we put our families first and the relationship that we have fostered over many years has been recognised. Well done everyone. 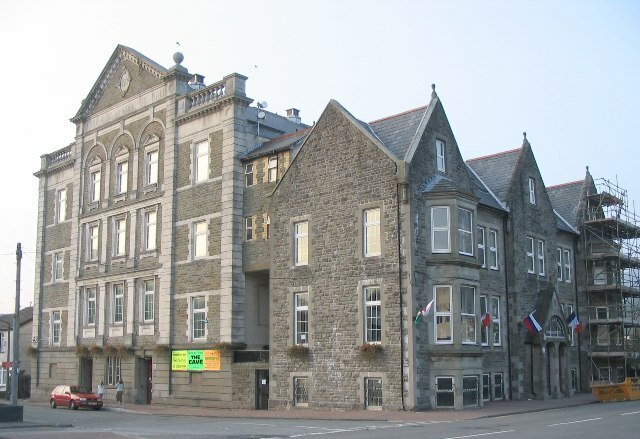 Llongyfarchiadau. The NED Show visited us on Friday and we have agreed to make available the yo-yo's that Nate used in his performance. They will be sold each break time in the Hall. Please use the order form that we sent home with the newsletter last week. If you did not receive one you can access and electronic version from our Moodle site. Please will you send in the correct money with your order. We have sold a number of yo-yo's this morning and we have found that the more expensive the yo-yo is for advanced users and that the NED YO-YO works the best for our children's age. The pupils are using their Yo-Yo's in the designated area in the yard so that they can play safely with them. 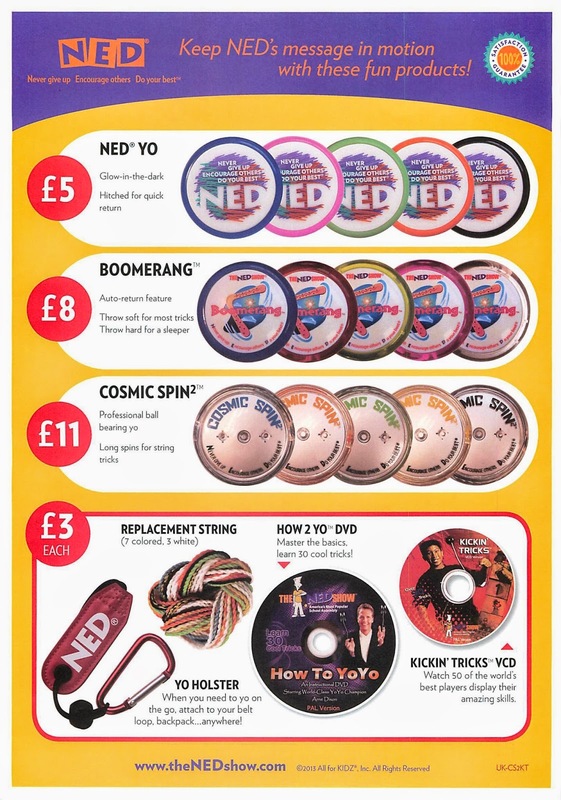 The NED STORE will be open UNTIL NEXT FRIDAY (July 5th) so hurry to the store and get your Yo-Yo. The 2013 Gelli Primary PTA School Fete was held on Saturday 29th June. Despite the class with the Britsih & Irish Lions Second Test Match the weather was fine, the people of the village, staff, parents and pupils came out to support us. Thanks to Mrs Sims and the members of the PTA we raised jsut short of £1000 towards the PTA School Fund. A BIG thank you to all who attended, supporting us yet again this year. Here is a digital story about the day.